Chad Bailey, president of NAAA. 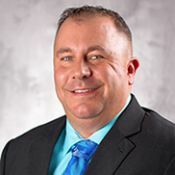 Chad Bailey, president of Akron Auto Auction, has officially taken over as president of the National Auto Auction Association (NAAA). The organization announced in October that Bailey would be inaugurated for the 2018-2019 term during the association's annual conference in November. Warren Clauss, president of ADESA Buffalo, is the outgoing president of the NAAA. He will serve in the one-year position through the remainder of the 2018 calendar year and through most of the 2019 calendar year. Bailey has a number of initiatives he hopes to accomplish during his tenure as president, one of which includes enhancing auction safety. 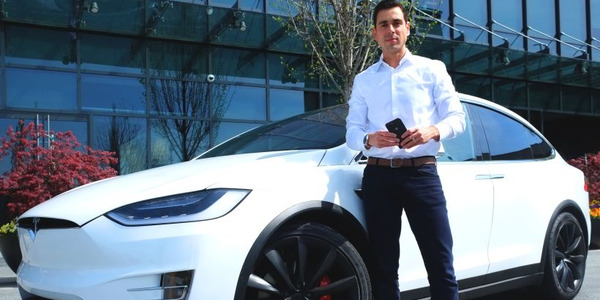 "Just one accident can be catastrophic on so many levels, and it’s great to see how many auctions are taking this so seriously,” said Bailey. One way he hopes to address the issue of safety is through more wide spread safety certification. He notes that the auction employees at his auction are safety certified. Currently, about 36,000 auction employees nationwide are safety certified, by the end of the year he estimates that number will grow to 50,000. Bailey also plans to work with members of the association to solve the current shortage of technicians, a problem that auctions throughout the country are facing, he stated. The association has chosen Tricia Heon, who has been part of the NAAA for eight years, and most recently served as legislative director and operations manager, for the position. Akron Auto Auction's Chad Bailey will take over as president of the National Auto Auction Association for the 2018-2019 term during the association's conference in November. 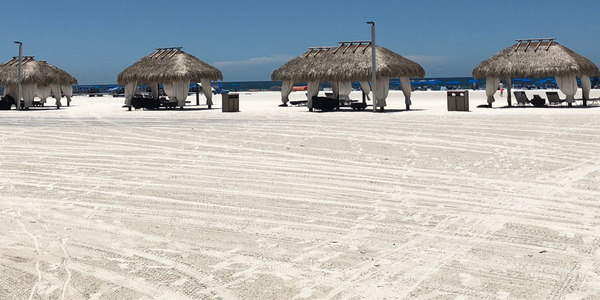 This year, remarketing professionals descended onto Marco Island, Fla. to attend the 2018 International Automotive Remarketers Alliance (IARA) Summer Roundtable. Following last year’s record-breaking attendance, the 2018 Summer Roundtable once again saw a nearly record breaking number of attendees for this year's event. 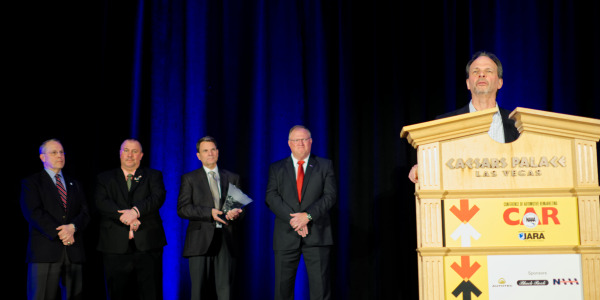 The National Auto Auction Association’s (NAAA) Western Chapter has named Kansas City Independent Auto Auction as its Auction of the Year. During the town hall session, four general managers from across the country will discuss commercial consignor demands and various aspects affecting physical auctions today. Tom Kontos and Charles Chesbrough will lead a discussion on economic trends affecting the remarketing industry at the upcoming 2018 IARA Summer Roundtable. 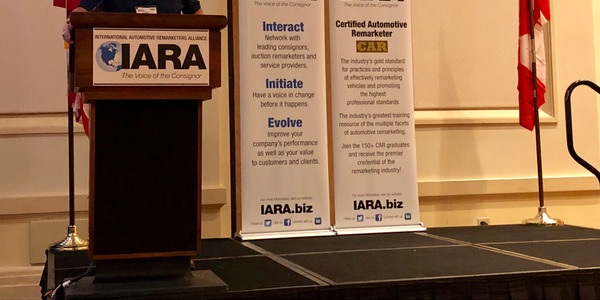 The International Automotive Remarketers Alliance (IARA) has announced that Felipe Smolka, executive vice president of transformation for LeasePlan USA, will be providing a keynote presentation at the 2018 IARA Summer Roundtable. 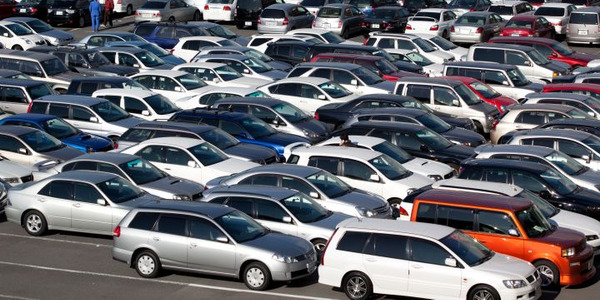 The National Auto Auction Association will begin raising awareness among its members about dealing with open recalls on vehicles that are sold at wholesale auctions under a new partnership with the National Safety Council.